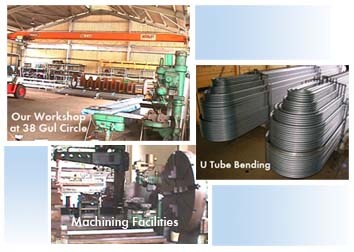 Our spacious and well equipped workshop is well able to handle all your mechanical design and works requirements. 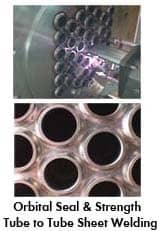 We have extensive experience in Mechanical Design & Fabrication, Retubing & Repair of Air Fin Coolers, Heat Exchangers (Shell and Tube Bundle), U-Tube Bending, Machining and Drilling of Tubes Sheets and Baffle Plates, Welding Works and with pipes and flanges. 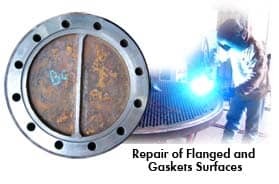 With in house capability for pressure vessel and heat exchanger design and analysis, all our fabricated Heat Exchangers & Air Fin Coolers conforms to ASME codes and TEMA standards.